I went to a wedding the other night. The bride looked dashing in her floor length ball gown, with her shoulder length hair worn down. The groom was handsome in his navy blue jacket with a red and gray tie, and a simple black eyed susan taped to his jacket lapel. The bride carried matching black eyes susan’s picked fresh from her mother’s yard. As the ceremony began the bride’s cell phone rang. Her groom was most disturbed b/c, “brides don’t carry cell phones to weddings.” This bride was hearing none of that and took the call. She wanted to ask her mom over for casserole that night following the nuptials and had been waiting for her to call her back. After the phone call the groom planted a big wet one on his bride b/c, “they always kiss, dance, and eat cake in weddings… oh and the rings.” The bride was not so keen on the kiss, but did enjoy the dancing turned wwf wrestling on the living room ball room floor afterwards. A strange thing has happened to me in my ripe, “old” age. Since turning thirty I have discovered my taste buds are changing quite a bit. For years I have loved the smell of coffee. And while I do enjoy a cappuccino or especially a good frappuchino, an actual cup of coffee was too strong for my liking. However, I enjoyed the smell so much, I once begged my husband to drink it in the morning, just so we could fill our home with its rich aroma. He denied my request to become addicted to caffeine for no reason other than to please his wife’s olfactory nerves. 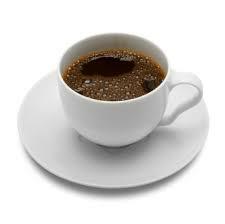 But recently, I have noticed that I have acquired a newfound liking to the cup of joe (with cream and sugar mind you). I bought a bag of coffee beans this week and hope to figure out how to use our coffee maker so I can start my day with the sweet smell of hazelnut coffee brewing in our kitchen. Funny, how I made it through 4 years of college, 3 years of teaching, and 3 newborn babies without it, but within weeks of hitting the big 3-0 I’ve turned to the dark side. More startling than my appreciation for coffee, is my recent discovery of a diet soft drink that I have found acceptable to the palate. I am a coke snob. And I wouldn’t touch diet soda if it was the last soda on earth. But last week I went to visit Scott at work and asked him to bring me out a soda. All they had was a diet coke with lime and a cherry coke zero. I wrinkled my nose in disgust. No way was I touching the diet coke, but I left the cherry coke zero sitting on the picnic table. (see I told you I was a snob). I thought about it. My mouth was dry and so I figured, what the heck. I closed my eyes and took a sip, much like I was attempting to get down cough medicine. It wasn’t bad. I drank some more. Hmmm… can’t really tell much of a difference. I must confess it took me several more sips before I was willing to admit to Scott that it didn’t taste different to me than regular cherry coke. He was in shock! I have to confess I haven’t tried one since, b/c we still have regulars in our pantry. 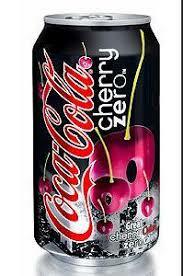 But, the next time I need to buy more coke, I intend to purchase a case of cherry coke zero. I’ve been thirty for 2 weeks now and I’ve added diet soda and coffee to my grocery list… what’s next? While walking to the car after church on Sunday, my son proudly showed me his Sunday School papers. Upon seeing this picture, I assumed what his lesson was about that morning and decided to play a little game with him. Turns out the joke was on me. Guess that’s what I get for being cocky and presumptuous when checking out his Sunday School art work. I love that I never know what to expect when I ask my kids about Sunday School. While this episode made me laugh, my favorite Sunday School recap is still my daughter and the poor little man on the side of the road. About 7 months ago we received a phone call that we’d been hoping for, for several years now. My sister in law (Scott’s sister) was pregnant! And there was much rejoicing and squealing at the circus house. Later that same week, we learned that my other sister in law (my brother’s wife) was also expecting a baby! Their due dates were within 2 weeks of each other. And a few months later we found out that they were both expecting boys. There was much rejoicing and dreaming of blue at the circus house as we anticipated our new nephews and cousins! Well, 2 weeks ago we got the call from my brother that his wife’s water had broken and they were on the way to the hospital. The next morning the circus crew took a day trip to meet our new little nephew. The kids were so excited to see their little cousin, only hours old. After watching everyone take turns holding him, my youngest went over to the sink to wash her hands. She then proclaimed, “my turn to hold the baby.” We had to explain that even though she washed her hands, she was not old enough to hold her baby cousin and would instead have to stick with watching while holding her baby doll. (given the gentle and loving way with which she was holding her doll, I don’t know why we didn’t just pass him off to her). It was such a joy to be able to hold him and welcome him into the family. Now, we are very eagerly awaiting the phone call from El Paso, letting us know when our next nephew is making his debut! I am hoping it is soon as I can’t wait to meet him and I am sure my dear SIL is tired of being 9 months pregnant in the 105 degree Texas heat. And yes, these beautiful bundles of blue, sure make it hard on the circus Mommy as her baby has outgrown her need for a crib and now changing table! With all 3 walking, talking and wearing underwear, I officially don’t have a baby or even a toddler anymore at the circus! You know your family is a techno family when your 5 year old requests that you add a song to your ipod so he can listen to it. Today, my son did just that and I was more than happy to oblige him with this choice. The “theme song” for our Vacation Bible School this year was “Today is the Day” by Lincoln Brewster. They sang it every morning at the start of VBS. It had the kids jumping and praising. Can’t think of a better start to the day. 2 weeks later and it is still in my son’s head and he wanted me to download it so we could sing along at home with frequency. I have many playlists on my ipod. One for running, one for kids songs, one for worship music, one with love songs, and one I entitled “upbeat fun” specifically designed to get us moving and grooving during those difficult 4-6pm hours of the day. After my son requested his song, I got to thinking we could put that “power song” principal into effect at our house. When we’ve got a case of the grumpies (myself included) or we’re fighting, or short tempered…I can play our “power song” to get us through the home stretch. To redirect our thoughts and attitudes and get them in the right perspective. The song needs to be upbeat and fun, so we can let loose and dance a little. But, it can’t just be a silly song. Silly songs are great, but for our power song, I want it to direct us back to God. I think our power song will change from time to time. We’ll find new songs that resonate with us in a particular way and I can change it up a bit. But, for now I am going to give this new song a try. I’ll have it in my ipod on a playlist called “power song” and when I feel we need instant motivation, I will go and turn it on and see if it helps give all of us an attitude adjustment. I know personally, this week as I was focused on my to do list, I found myself a bit uptight from time to time. I snapped more than I should have. There were definite moments where I could have used a step back to gain some perspective (enter the power song). I like the lyrics of the song, “Today is the day you have made, I will rejoice and be glad in it.” (Originally penned by the psalmist David). I want to rejoice in each day the Lord has made. Not just the days where I get everything done that I wanted. Not just the days that the kids got along beautifully. Not just the days where we relaxed and had fun together. I want to teach myself and my kids to rejoice in each day. To see each day as a gift from God, and no matter the circumstances we can rejoice in that day. Crank it up and rejoice with us today!! Something strange must be in the air here at the circus,b/c this week I’ve been cleaning like I haven’t cleaned since I was nesting. Seriously, last night at 9:00 Scott came home from sailing to find me scrubbing the baseboards of our bathroom with a toothbrush. If he hadn’t heard the kids screaming for him from their bedroom, I am sure he’d have thought he went into the wrong house! I know I have been negligent on the blog front, but let me tell you on the home front I have scrubbed the walls and baseboards, cleaned the bathroom top to bottom (including the itty bitty corner behind the potty), washed the dog, stayed on top of laundry, cleaned and organized the toy room, cleaned (and dusted) my bedroom, gone grocery shopping, grated a zucchini, and baked some zucchini bread and muffins. Still on today’s to do list is to mop the entry way and kitchen floors, finish my dad’s father’s day gift (ya know since it’ll be August next week and all), order some pics to be printed to update my frames, and finish putting away laundry. Tonight we have a double date with some friends to see the new Transformers movie. Then tomorrow I just gotta scrub my sink and stove, clean off my counter top, and bake and decorate my daughter’s birthday cake… oh and buy the last minute food for her party on Sat. Whatever the reason, I am happy with the result and hopeful we can maintain the new state of cleanliness here at the circus! (I’ve always been an optimist)! PS: Have no fear, for those of you that have missed my regularity in blogging and commenting, I have plans for getting back on top of that soon… already know what I want to write about for Fri and my weekend thought for Saturday. Incase you were wondering! I think my girls make good farm gals, don’t you? Nothing like a week of Vacation Bible School to leave this circus mom with more “not me” moments than I care to admit. Because I love to keep it real, here’s a few highlights from our week. Meet my dear friend. When it comes to friends, she’s one of the bestest. For many reasons. An example of which is the fact that she willingly cuts my girls hair for me. A fact they will thank her for profusely over the years as their Mommy isn’t so good at cutting straight lines. It wasn’t my daughter sitting on our minivan porta potty getting her hair cut in the church parking lot after VBS. Surely I would have been on top of things and not let her bangs get soo long and her ends so split making her so desperately in need of a haircut that we would do it in the parking lot! And it wasn’t me who sent my potty training tyke to the nursery in a swimmy diaper b/c we were out of diapers and pull ups and running late for VBS. I wouldn’t have risked having her pee all over the nursery or waste an expensive swimmy for a non pool outing! Nor was it me who stopped at the grocery store on Thursday for milk, and decided to make sure I had all the necessary ingredients for those cookies I’d be craving (such as sugar, eggs, brown sugar, choc chips) only to come home and realize I had no butter. And it wasn’t me who face booked about this sad dilemma. Later that same afternoon it wasn’t me who went to check on my dinner cooking in the crock pot only to discover that even though the crock pot was indeed on low, it never heated up. Wasn’t me who then face booked that fiasco as well as a whine of “what will we have for dinner now?” Upon receiving a reply from a friend saying I could have cereal for dinner since I had milk, it wasn’t me who wondered how in the world Becky knew I had milk…forgetting my status from earlier in the day. Not me at all. I wouldn’t share way more info than the world cares about my life and then forgot what I shared! It also wasn’t me who 2 days after purchasing the butter and then finally getting around to baking those cookies remembered that I had used up all our baking soda cleaning the bath tub earlier that week!